In 11 albums in 22 years, Mr. Bejar has shown zero signs of slowing down. 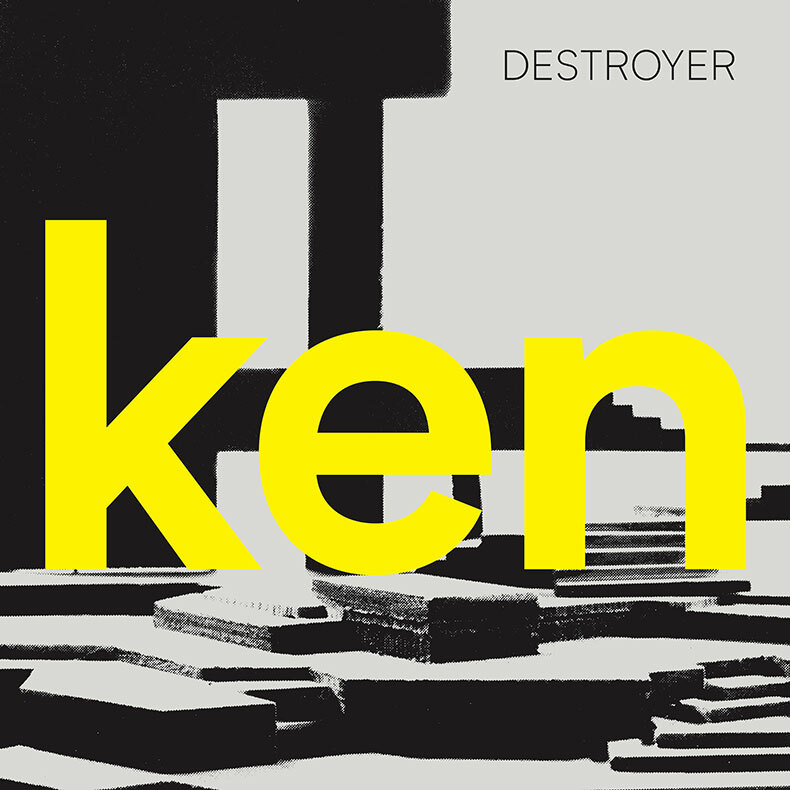 ken, Bejar’s eleventh LP and almost shortest (overall time-wise), is a solid album, packed full of Bejar’s killer arrangements and excellent songwriting. Give standouts “Tinseltown Swimming In Blood” and “Ivory Coast” a spin below. We have the special yellow vinyl indie edition for sale, at a great price, in the 3hive Co-op Shop. Give the fancy button below a tap/click to grab yourself a copy. I wasn’t a fully committed goth in high school but I listened to my fair share of goth music, and sometimes dabbled awkwardly in goth fashion. The Mountain Goats’ John Darnielle – nowadays known for his storytelling skills, as a lo-fi turned hi-fi musician and awarded novelist – spent his teen years as a “goth kid”, though I reckon we shared a similar awkwardness. So when Darnielle directs an entire album’s worth of songwriting to the genre/culture, it’s because he has enough material to work with. Whether the Sisters of Mercy-esque strains of “Rain in Soho” or their tribute to the SoM frontman himself, “Andrew Elritch Is Moving Back to Leeds”, Darnielle and company deliver each track with a clear knowledge of and empathy for its subject matter. On “Stench of the Unburied” Darnielle sings, as someone who suffered his way through SoCal summers in all black: “Outside it’s 92 degrees/And KROQ plays Siouxsie and the Banshees”. In typical Mountain Goats fashion, it’s followed by a narrator’s wink and nod: “Ice chest full of Corona and Pineapple Crush/It’ll take 20 years for the toxins to flush.” It’s this tension that makes Darnielle’s songwriting so authentic, endearing, and surprising. 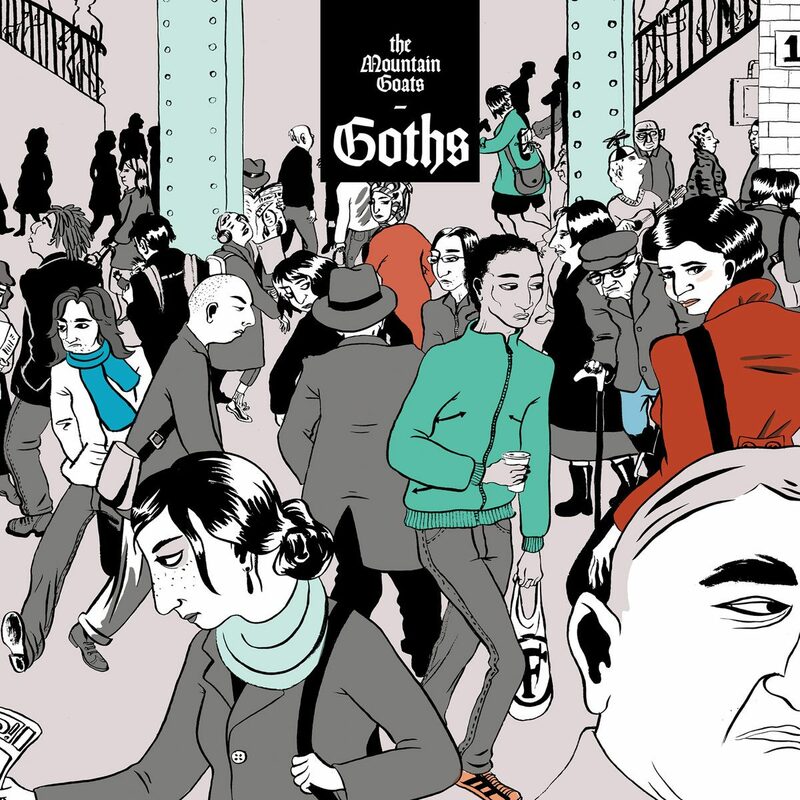 Goths avoids the trappings of a concept album. Musically it wanders, however coherently, from ominous minor key anthems to loungey new wave to flute-driven baroque pop to an entire bonus record of ambient mixes “for the all-night goths who need to reply to the dawn with total darkness.” The thread remains, but Darnielle trusts his listener to figure it out in their own way. Even without explanation, Goths is a great album. “We Do It Different on the West Coast” – while relevant here – would fit on any Mountain Goats record, with it’s perfectly Californian brand of self-deprecating coastal pride. It’s followed by “Unicorn Tolerance” which is just plain adorable. Do yourself a favor and listen to Goths, regardless of how much black eyeliner, white foundation, red lipstick, and hair spray you have on your person. 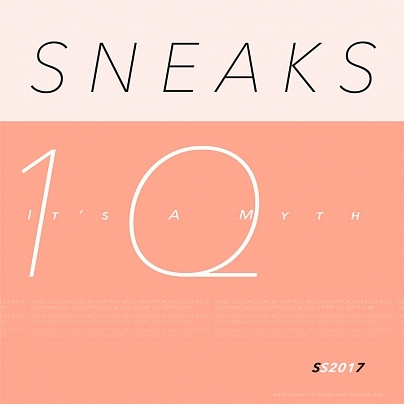 Sneaks is the stage name of Washington, D.C.’s Eva Moolchan. On her latest, It’s a Myth, she sticks with her post-punk recipe of stripped-down jams – comprised of a delicious groove and bizarro Double Dutch rhymes – each with an understated swagger that will leave you craving more. Scotland’s Teenage Fanclub shouldn’t need any introduction, they’ve been putting out the power-pop hits since 1990’s A Catholic Education. Fast forward twenty-six years later (6 years since their last release) and they are still kicking out the jams and sounding as fresh as ever on their new LP Here. Give album opener, “I’m In Love” (below) a spin, it’s a warm, shimmery, power-pop gem perfect for extending the summer vibes into September. 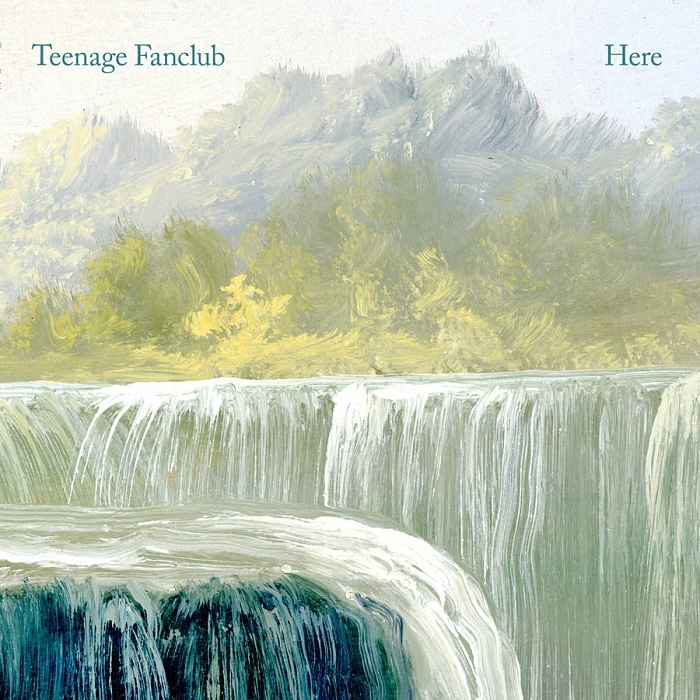 Here is out on September 9 via Merge Records. It’s a good one. Enjoy. Twerps formed in Melbourne back in 2008. In their 7+ years as a band they have released one full length and several EPs of shimmery, sickly sweet pop music – including last years Underlay, their debut EP with Merge Records. Tomorrow (Jan 27) they will drop their newest long player, Range Anxiety, again with Merge. Range Anxiety is indie pop gold with it’s glimmering guitars and killer vocal harmonies. Get a taste of their sweetness below with downloads of “I Don’t Mind” and “Shoulders” as well as the video for “Back To You”. Enjoy. Twerps – Back to You (Official Music Video) from Merge Records on Vimeo. Vertical Scratchers is the Los Angeles duo of John Schmersal (ex-Brainiac/Enon, live Caribou, and Crooks on Tape) and Christian Beaulieu (ex-Triclops!/Anywhere). Their excellent debut LP Daughter of Everything is 15 songs, all under 3 minutes, of frantic, yet light and jangly guitar playing alongside a grooved-out, driving rhythm section. Schmersal’s voice matches up well with his guitar playing, while Beaulieu’s drums drive the songs on both “Turn Me Out” and “These Plains” (below). Daughter of Everything releases February 25 on Merge Records. I highly recommend it. I’m comfortable enough with my lack of indie cred to admit that I had no idea who Superchunk was during their heyday in the 90’s. It wasn’t until the early 00’s that I heard them for the first time. I have been a huge fan ever since. I Hate Music, Superchunk’s tenth full length album over their illustrious 20 year career, releases Tuesday on Merge Records. It’s an excellent album, sure to please the longtime fan and grab a hold of those who are new to their music. Check out “Me & You & Jackie Mittoo” (below) it’s a 2 minute, high-energy, power pop ride that ends way too soon. It’s classic Superchunk and you will like it. North Carolina’s all female garage punk band Barren Girls formed back in 2011. After catching the eyes and ears of Merge Records at a show back in September, they recorded this 4-song EP in their cotton mill practice space. The EP blows by at pretty scorching speeds, with only one song clocking in at over 3 minutes. Alter Ego (below) is the shortest song on the EP, it’s also the most powerful. It’s short blast of strained vocals and hi-energy music sounds like the bands rhythm section is in an all-out race to the finish with guitarist/vocalist Carla Wolff. You will definitely need to catch your breath when it’s over. Enjoy.